So glad this gal joined our CFE family! Her hard work and determination is admirable! 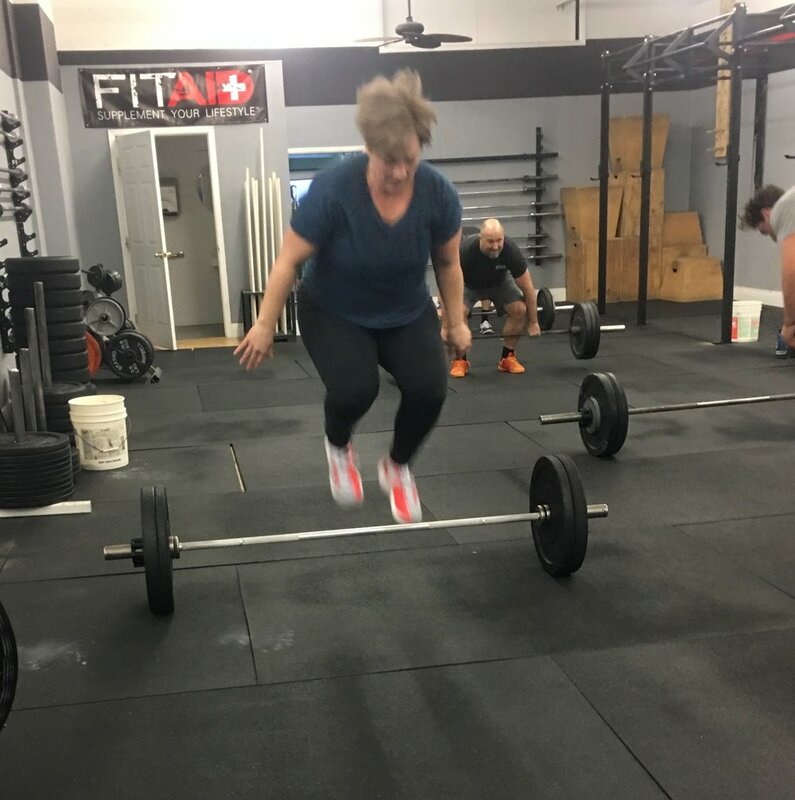 James busting out those weighted step ups like a boss! 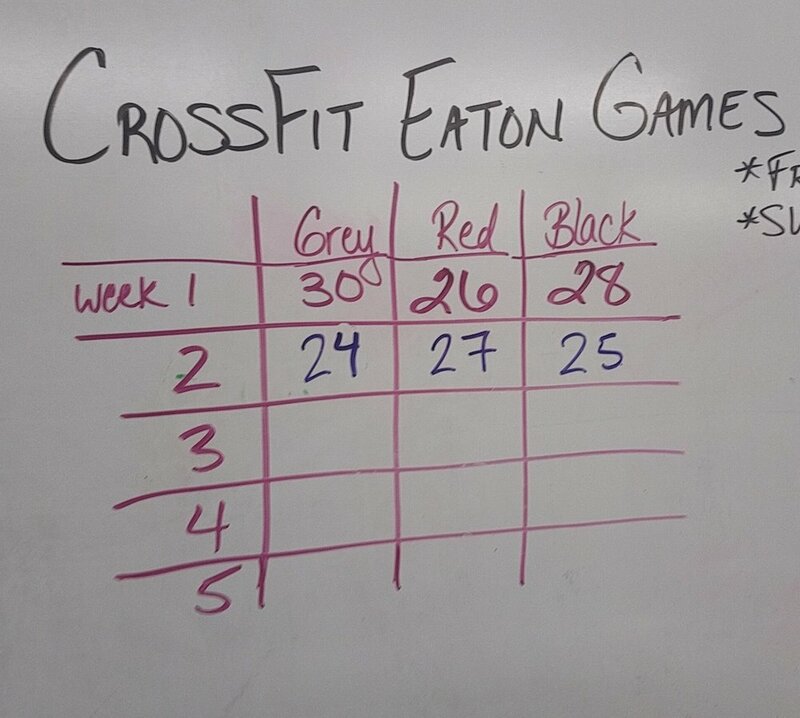 CrossFit Eaton Games: 3 down, only 2 to go! Keep up the good work everyone! Intended Stimulus: This is a long duration and relatively light loaded workout. Stamina on the push-ups will be the most challenging part for many. Some faster athletes may finish in under 20:00 and work to modify everyone so they do not exceed 25:00. It’s a close race so far with Team GREY barely ahead at 54 points, but Team RED and Team BLACK right on their heels with 53 points! This is an important week! Good luck to coach Todd Hernandez and the EHS Girls Basketball team that qualified for the state finals that starts Thursday! *If unable to run due to weather substitute 250 skipping rope for the 400m run.